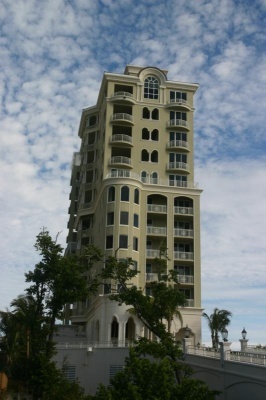 Designed by Miami-based architect Robert M. Swedroe, One Singer has 15 ultra-exclusive grand residences. The west penthouses has 3 bedrooms and three baths. The living area of this unit is 2,909 square feet but has a total residence of 3,498 square feet. These penthouses overlook the intracoastal and Singer Island. With full ocean views, the east penthouses have three bedrooms and three baths. This space equivalents to 3,335 square feet of living area with 725 square feet of terrace space. The top penthouse is a staggering 5,110 square feet in living area with 2,275 square feet of terraces area. These penthouses are one unit per floor and have both the intracoastal view plus the views of the beautiful Atlantic Ocean. Golf membership is available at premier private WCI golf community in Palm Beach Gardens.